1) A distressed homeowner should speak to an attorney before you list their property so the homeowner may review their options, and so you’re not liable for what they choose to do. 2) When you take on a client who is in financial distress you may have a higher standard of care to protect their best interests. 3) An attorney allows clients full protection and representation. 4) An attorney may gain more leverage over lienholders during the negotiation process. 5) If your clients have assets &/or future or current income, an attorney can offer guidance about exposure to collection attorneys &/or tax authorities. 6) An agent-friendly attorney will aggressively negotiate for your full commission. 7) If you’re negotiating your own short sales you’ll likely limit the number of transactions you can close per month. By using an attorney you leverage your workload, there’s no limit to the number of deals you can close per month. Call James R. Stout, Esq. – An Agent Friendly Attorney Today at (702) 318-8802. 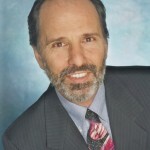 Steve can be reached at StevenKitnick@StevenKitnickSeminars.com or by calling (702) 326-8722.